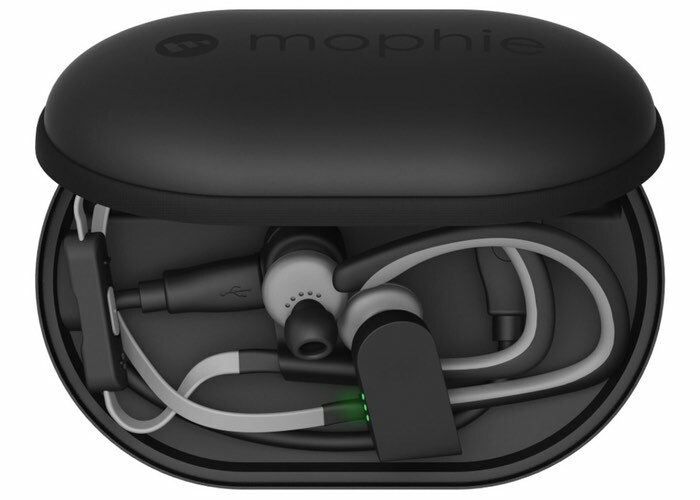 Anyone looking for a convenient way to keep their wireless headphones, wearables, fitness trackers and more charged whilst away from the grid, may be interested in the new Mophie Power Capsule which is launched this week and is equipped with a built-in 1,400 mAh battery. Check out the video below to learn more about the technology included in this convenient travel Mophie Power Capsule case that provides the perfect way to charge your wearable devices. Efficient charging packed into a small, protective case that fits into any gym bag, pack, or purse. For more information on the new Mophie Power Capsule case jump over to the Mophie website for details by following the link below.